The core of the “A Backpack Journalist” curriculum helps youth and adult learners to develop their writing skills, while underneath the youth find their “voice” and a means to express themselves. Writing is at the foundation of our curricula. Photography, Song Writing, Digital Storytelling (filmmaking) and Cowboy Poetry complete our curriculum. For Expanded Day – Afterschool Programming: Teambackpackjournalists Lesson Plans include: “What’s Your Story?”, “Hats tell a story”, “The Rockwell Selfie” , “The Seagull, basic writing/imaging lesson”, and “The Life of Larry Doby”. A Backpack Journalist curricula has at it’s foundation Writing. In education today, a recent study confirmed that the writing skills of the average teen in the United States is disappointing and attention is now being given to the writing curricula. However, that’s six years out! What about now? At “Backpack” our Narrative Writing module begins with a simple question. “Can you talk? Yes, then you can write. Can’t talk? In other words, communicate? Let us show you how. Good communication is key in basic life skills. In the digital world today, writing is an asset to any career path that one chooses and a good delivery method for resilience training. Leadership is a natural bi-product as well. From Narrative Writing, we move into Interviewing, Gathering and Reporting and Public Speaking. This module supports getting to know someone and your self at the same time, then presenting to a group! Self-confidence builds resilience! presents. Poetry for both genders: Cowboy and Urban. 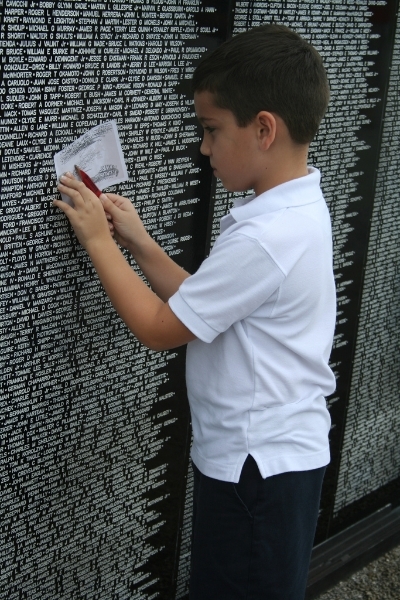 It is all about telling a story to rhyme, and along the way learning about our nation’s history. At “Backpack” we add in technology with Photography, Song Writing, Digital Storytelling (film making) and Cowboy Poetry. Technology is a second language of the teen demographic. In fact it is their homeland! “Backpack’s” technology based modules round out a curriculum that engages, educates and helps build and strengthen resilience for the teen. “Backpack” in workshop or training rotations allow for the teen to find their own “voice” amongst our modules. Multimedia techniques and journalism methods are used throughout. 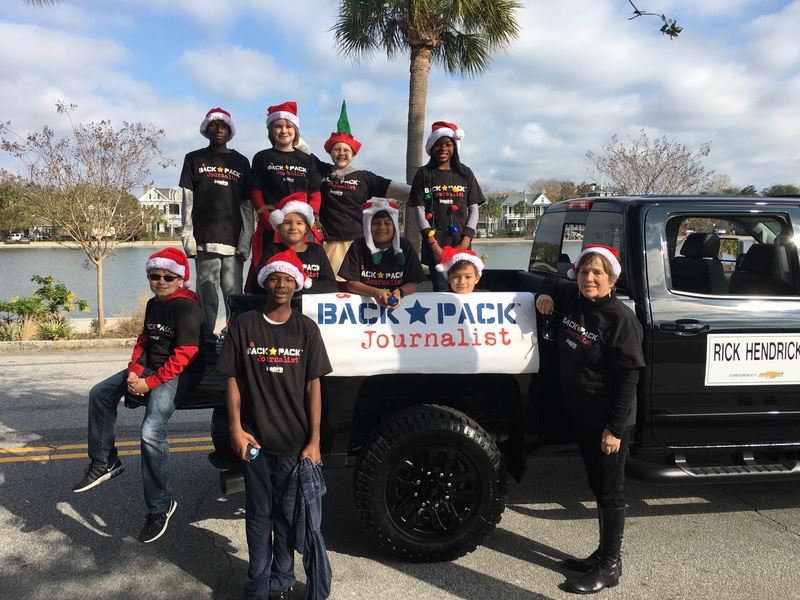 The teen may or may not choose journalism as a career; however, clearly “Backpack” provides basic fundamentals that will help the teen to succeed in any career path that they choose and to strengthen their own resilience. These Lesson Plans and Thematic Units have been pilot tested in elementary school up to middle school, and are complete with step by step instructions on how to integrate into an after school program. “Backpack” delivers curriculum to the teen demographic and the staff/ teacher via hands-on workshops, modules in curriculum and in 2013 on line via video modules. “Backpack” has a Student Guide and also a Staff Curriculum Guide. Lesson plans are included with subject track/module that allow for continued use and outreach. Cover the Assignment is a “real world” experience that a “backpacker” attends and reports and produces either a print or digital story. The experienced teaching staff consists of dedicated professionals who love working within the teen demographic, are published and recognized by educators and major learning institutions. “Backpack” Interns are youth who have attended a workshop and shown an interest in continuing with us. Teen participants have produced essays, photographs and short films at the “Backpack” workshops and events. What has been interesting in all of our Writing classes is that in sharing their experiences and writing about their feelings and beliefs, “Backpack” has often been presented with incredible heartfelt and emotional stories. 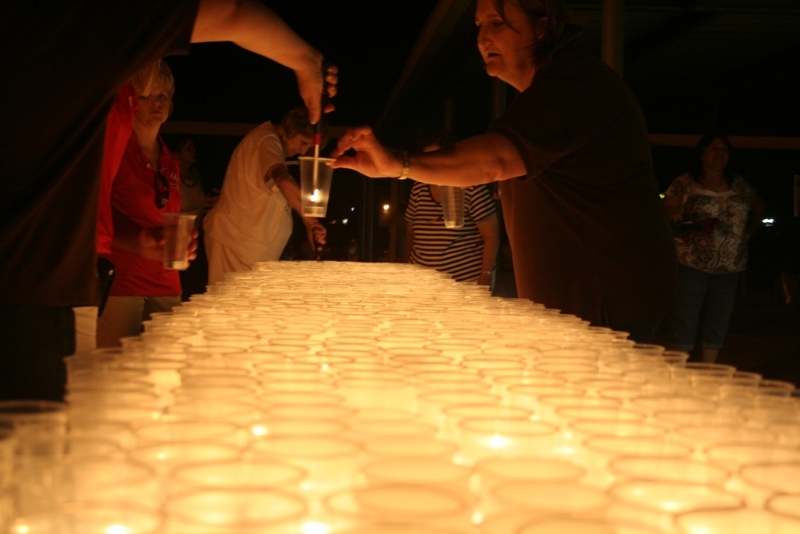 Many “thank you’s” are to parents who have passed away, or to an estranged parent. 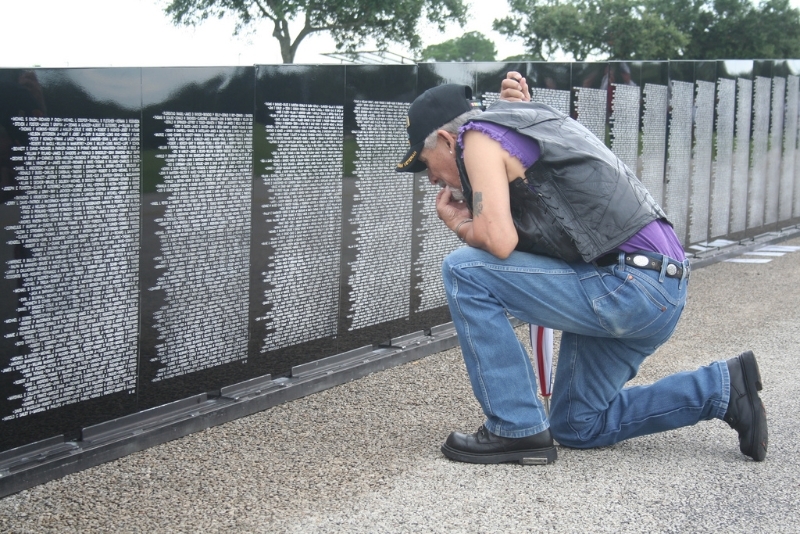 Often the “defining moments” are when the parent comes home. In many essays, we have been presented descriptions of how important their faith was to them and their families during the deployment. Many essays written were their “First”. Thus, positive “Backpack” outcomes are visible, and also found in print. “Backpack” now provides a full color 9″ x 12″ Portfolio Book of workshops and venues where educational values are present. This print on demand book allows each youth a printed book, and also an “E” book that they are use for their own portfolios. To date: Nature Storytelling with Fossils, Florissant Fossil Beds National Monument is now in print! This book is available through our online store, and we donate $5 back to the foundation who funded this workshop. “Backpack” has collected data/responses from a many workshops from the attendees, the parents and the staff. A review of the program by Frederick J. Medway PhD, Professor Emeritus University of South Carolina, School of Psychology, is available upon request. Points of Light Annual Conference, June 2013 (Grantee of Points of Light Military Track. 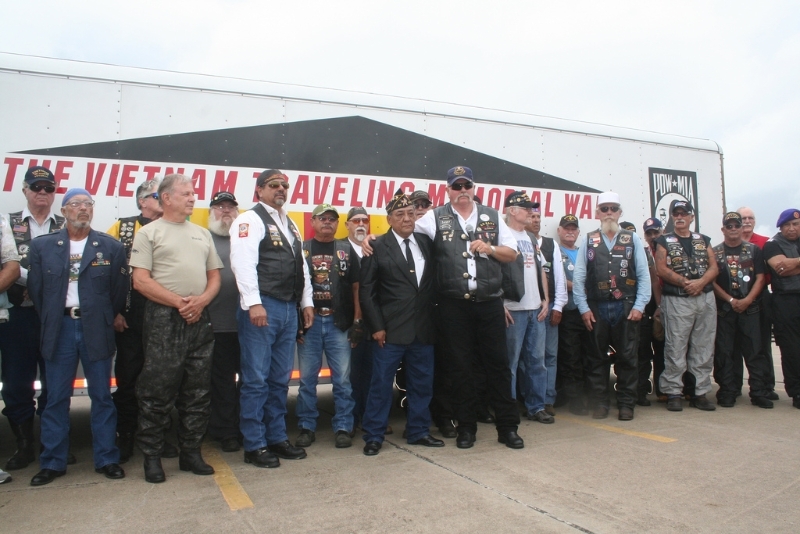 Clients have included: US Army Reserves, Child & Youth & School Servies (Crystal City, Virginia), Texas Military Forces Yellow Ribbon Program (Camp Mabry, Texas), National Guard Bureau Joint Family Programs –Youth Symposium, 2010, New Orleans, Louisiana (Washington, DC). 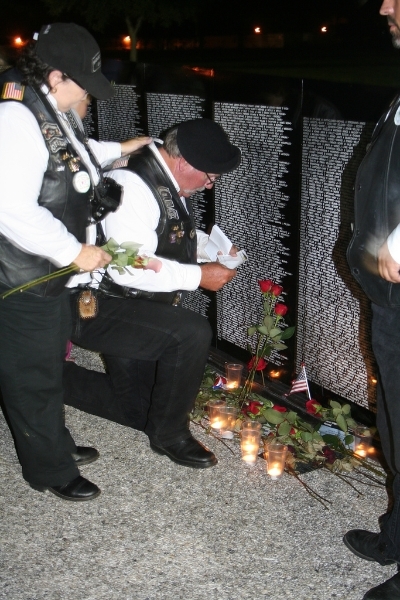 National Guard of United States (NGAUS) and National Guard Association of Texas (NGAT) – Austin, Texas 2010 and AUSA – Washington, DC October 2011. National Guard Family Programs: Kansas, Kentucky, Maine, NC (Air Guard), Iowa (AG). Building resiliency through creative expression. Encouraging creative expression through a variety of media applications has shown to be successful in the workshops to date, and is one of the goals of A Backpack Journalist, along with providing “real world” experiences for the youth participating. UPDATE! 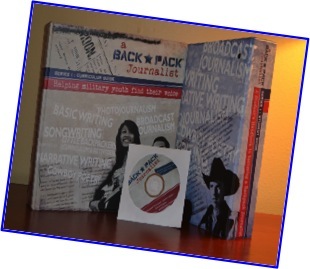 A Backpack Journalist Curriculum, in print and with DVD. Now comes with Lesson Plans and Thematic Units for Afterschool and Expanded Day programs for 3rd grade and up. All chapters are available in a digital form and in print. There is Journalistic Reporting and Broadcast. Teaching how-to listen is also an important element. Thinking it through as well. Then one writes, reports and presents. Cowboy Poetry for both genders. It is all about telling a story to rhyme, and along the way learning about our nation’s history and a culture. At “Backpack” we add in technology with Song Writing, Photography and Digital Storytelling – Film making. Cowboy Poetry is the cross curricula module that offers writing, gathering and public speaking, and history and literary arts. Technology is a second language of the teen demographic. In fact it is their homeland! “Backpack’s” technology based modules round out a curriculum that engages, educates and helps build and strengthen resilience for the teen. “Backpack” in workshop or training rotations allow for the teen to find their own “voice” among our modules. Multimedia techniques and journalism methods are used throughout. The teen may or may not choose journalism as a career; however, clearly “Backpack” provides basic fundamentals that will help the teen to succeed in any career path that they choose and to strengthen their own resilience.